Have you ever experienced a sensation of missing time? Have you ever found a metallic implant somewhere in your body? It's likely that you're a victim of alien abduction, and you don't even know it. Aliens are among us. While the true intentions of these mysterious intruders from outer space are unknown, there's no doubt that their actions are nefarious. It's your right - your civic responsibility - to learn the skills necessary to protect yourself, your loved ones and ultimately your planet. Aliens want to whisk you away in the night to perform terrifying experiments on you. Isn't it time you learn how use your MP3 player to defend yourself from their paralyzing powers? Shouldn't you know how to evade the pursuit of a flying saucer? Wouldn't you sleep better at night knowing some proven hand-to-hand combat techniques guaranteed to stop your extraterrestrial foe in its tracks? 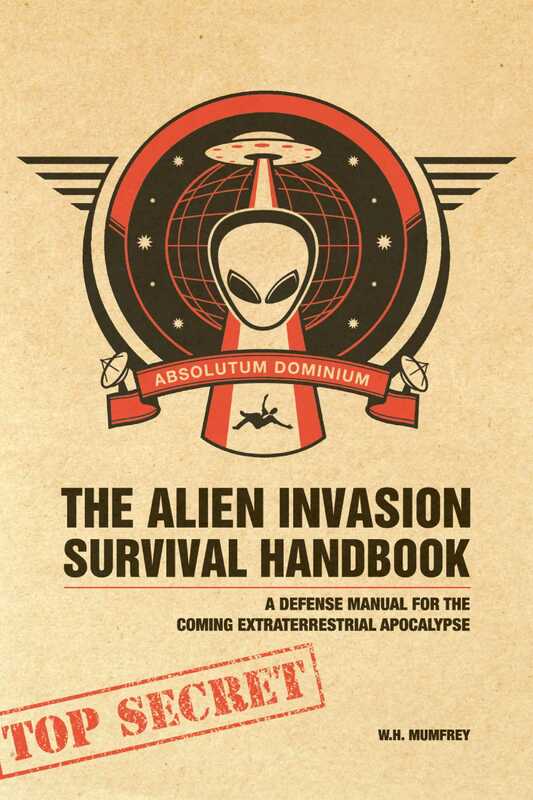 Make no mistake - our world is under attack and this handbook may be the only thing standing between the human race and total annihilation. Read it and join the resistance.